James Spring was born 4 November 1842 at Baston, Lincolnshire, England, the son of James Spring and Jane Pepper. He immigrated to Sydney, NSW, with his parents and siblings in 1855 on board the ship ‘Constitution’. 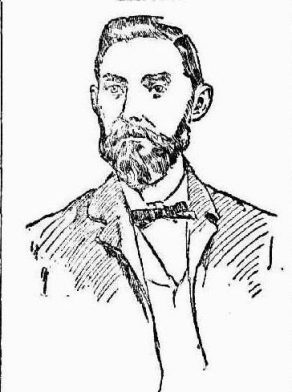 He married Ellen Baker (1844-1923) 5 October 1865 at Sydney, and they had four sons and six daughters. Spring died 11 December 1925, aged 83 years, at his home 5 Queen Street, Newtown, and was interred in the Old Church of England Section of Rookwood Cemetery. He left a Will and his estate and assets were valued at £21,492. James Spring lived at Rose Street, Darlington and 5 Quinn Street, Newtown. James Spring was associated with his father as a miller and biscuit manufacturer in King and Castlereagh Streets, Sydney. Subsequently he established a bakery business on the site of the Hotel Australia, which was his property. Upon retirement he became associated with the affairs of the municipality where he occupied the position of Darlington Mayor for 15 years. Spring presented the district in March 1910 with a drinking fountain and water fountain in City Road (near the old Deaf and Blind Institute) constructed of a single stone and weighing six tons and set on trachyte piers designed by architects Morrow and Du Putron. James Spring was a member of the Victoria Park Trust. He was a justice of the peace (JP). James Spring was an alderman on Darlington Council in 1886-1900 and 1904-13. He was mayor in 1890-1900 and 1904-07.